Understanding local food is the key to unraveling the mysteries of local culture and the landscape that helped shape it. 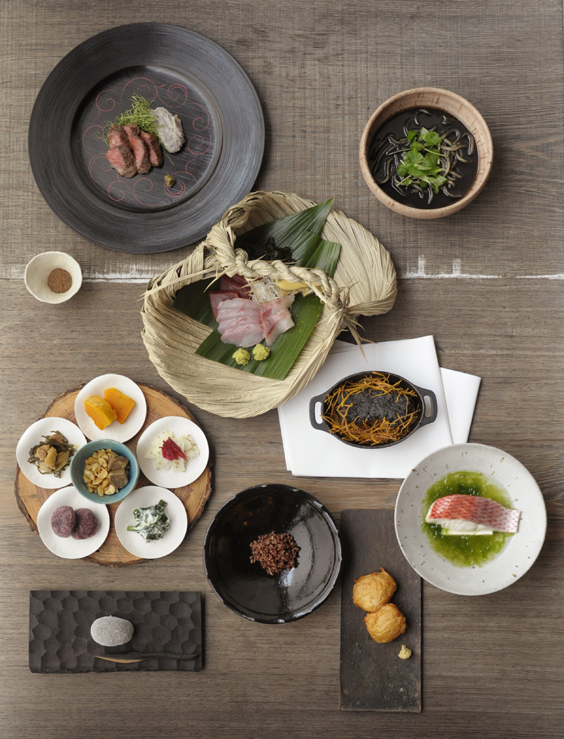 FOOD NIPPON is our series of seasonal events focused on "rediscovering Japanese food culture." 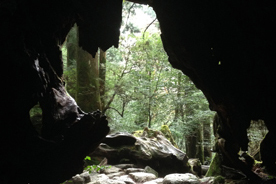 Since 2013, we have been gathering stories from around Japan that tell of the richness of this country, delving into various foods and customs by learning from our ancestors' wisdom and ingenious adaptations that have been passed down through generations. For FOOD NIPPON 2016, we have been focusing on the Nansei Shoto Archipelago, Japan’s chain of islands that extend from southernmost Kyushu. In a book called Kaijo no Michi (Ocean Road), Kunio Yanagita, credited as the founder of folklore studies in Japan, wrote about his theory on the transmission of rice cultivation techniques from the south along the Kuroshio current through the Nansei Shoto Archipelago on to mainland Japan. 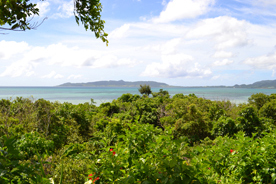 Yanagita felt that the local rituals surrounding rice-growing and the islanders’ belief in a paradise called “Niraikanai” – considered the source of harvest blessings and indeed all life – were at the very foundation of Japanese culture. 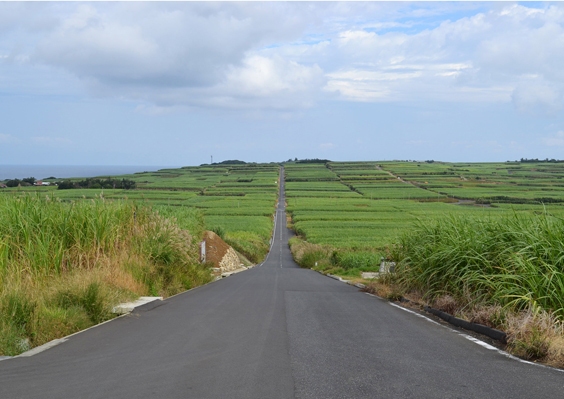 We travelled around the Nansei Shoto Archipelago along the ocean road known since ancient times as a passageway for various people, objects, and cultures. 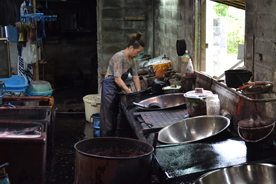 Throughout our events in March, June, and September, we explored the local food culture in the individual islands groups of Osumi, Amami, and Yaeyama. The final chapter beginning on December 5th is the culmination of our journey showcasing foods and products from across the entire Nansei Shoto Archipelago. 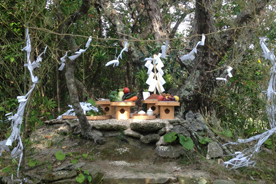 In autumn, a rice harvest festival was held at Houman Shrine on Tanegashima of the Osumi Islands. While the red rice of Houman Shrine cannot be taken outside the shrine grounds, a genetically linked variety is available in limited quantities. As you savor this rare red rice, we hope you may consider the ancient people who carried rice plants with them as they crossed the ocean. 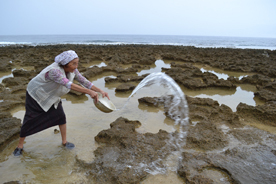 Kikaijima of the Amami Archipelago suffers constantly from water shortages. Acute awareness of the hydrologic cycle means many growers on the island have a preference for organic production, avoiding agricultural chemicals because of the potential for water pollution. One dish we hope you will try incorporates brown sugar from Kojiro Sugimata’s organically grown sugarcane. The flavor of brown sugar from fully matured sugarcane harvested from winter through spring is unforgettable. In the Sakishima Islands, food is referred to as nuchigusui or “medicine of life，” and the islands’ food cultures were developed through the idea of ishokudogen, which refers to having balanced diets in which medicine and food are closely intertwined. Be satiated by the wholesome cuisine that has for so long supported the health and longevity of the people of these islands. We carefully selected these foods as they best express the values and charm of the Nansei Shoto Archipelago that we discovered in our journey along the “ocean road.” We hope you will come and enjoy them. Throughout the FOOD NIPPON 2016 edition, we will be offering special lunch and dinner menus that feature various ingredients and types of sake from the Nansei Shoto Archipelago, which you can enjoy together with tableware that has been made originally for FOOD NIPPON. 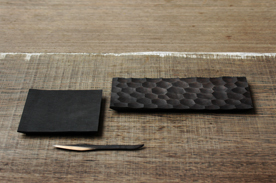 ＊ As part of our dinner course, some items will also be available a la carte. ＊ Please note that ingredients may change according to availability. Asahi Shuzo was established on Kikaijima nearly 100 years ago. 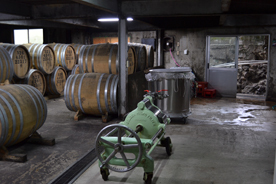 Fourth generation brewery owner Hiroyuki Kitei is passionate about his brown sugar shochu made from only organic sugarcane grown in the company’s plantation. 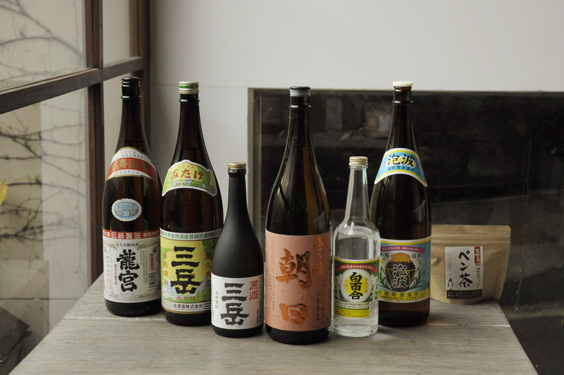 Starting with Asahi Shuzo’s “Ichinojo Asahi,” we will be serving the very best of Amami’s brown cane sugar shochu, sweet potato shochu, and awamori. Please enjoy these drinks along with your Special Dinner Course. 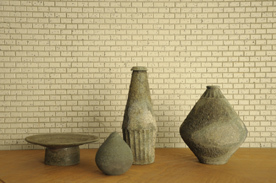 We are exhibiting and selling a selection of crafts from the Nansei Shoto Archipelago at the salon space in HIGASHI-YAMA Tokyo as well as at our sister shop HIGASHIYA GINZA. Please come and visit us.